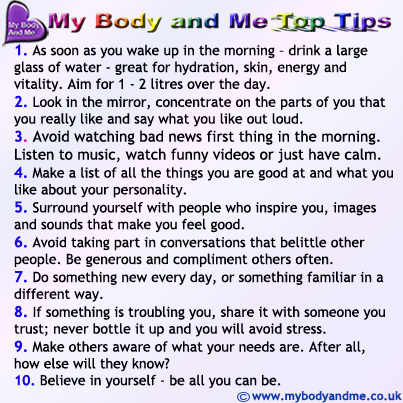 My Body And Me was established in 2009 and delivers Women's Workshops & 1-2-1 Coaching in London, Milton Keynes and Glasgow, UK. We provide Personal Development Training, Online Coaching & Confidence Building Courses exclusively for Women. Hello, Terry here... thank you for considering My Body And Me Women's Personal Development Workshops & 1-2-1 Coaching. I have to be honest, 'my body and me' have had our moments too... Like many others, I've had some tough challenges in life. I've also experienced feelings of self doubt, lack of confidence in my abilities, and body image issues. If I had a pound or dollar for every time I've had a fear of failure, talked myself down or shrieked OMG! at the mirror, I'd be a rich woman. Yes, life can get us down... but it's about getting up, moving on and making room for the positive stuff. This is personal development dedicated to you building emotional resources and developing personal skills; for improving confidence, communication and motivation, to enable you to get the best out of you and your relationships. When you think negative thoughts, those thoughts can have a negative effect on your body and sense of well-being. Down, sad, lazy, mad; or limiting yourself with thoughts like 'I'm not good enough.' or 'I'll get it wrong.' to driving yourself crazy with 'I'm too big, too small, short, tall, fat, thin, too old or too young. Remember, in the same way you talk your self down, you can just as easily talk your self up. Invest your precious time and energy on what will empower you. Think it, learn it, live it and love it! When you continue to learn and take positive action towards your goals, you will create a strong foundation for building greater self confidence. Plus, when you continue to develop new skills, you will open the door to many more opportunities. Believe in yourself and be yourself!